Have you stumbled across the Warrior Forum and started wondering if internet marketing success is something you could actually achieve? Are you still on the fence about joining the world of affiliate marketing and product creation? Thinking you’d never be able to make it big? c. you really need to read this. If you are visiting this website for the very first time, know that you should feel free to send me your feedback or questions. This is an open platform for anyone going into internet marketing. The 7 Figure Furnace is a relatively new podcast that I’ve created for both new and experienced marketers. 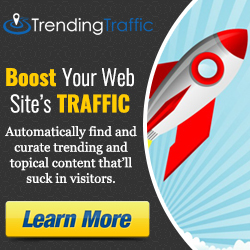 I’ve done so hoping to help people with actionable, and super effective tactics for boosting both web traffic and sales. I’ve interviewed internet marketing masterminds, product creators, PPC gurus, business mentors, and numerous other specialists so we all could take advantage of their knowledge and find the best path to internet marketing success. For this episode, I interview Sam Robinson, who is a Wellington-based product creator helping internet marketers streamline and grow their businesses, the man behind multiple JVZoo Marketplace best-sellers, but also one of the new faces in the online marketing space. Sam is the best guest I could have asked for to dive into the topic of starting out in internet marketing and becoming successful. He’ll walk us through why passion is important, how to leverage white label products and what it takes to make 6-7 figures in this field. If you’re already working on something, don’t stop, you can just listen to this episode, but make sure you come back for the links and extra info. In this interview, Sam talks a lot about using whitelabel products (ones that others have made, you just put your name on them and sell.. and keep all of the profits) as a great way to get started online. He has just released VidInvision – which is a video player software tool that you can sell as your own. I highly recommend it, top quality product and a great way to get started as a product owner without a lot of learning curve time. If you want to check it out go visit the VidInvision offer here. Some people have an offline marketing background, others come from other creative industries, others are entrepreneurs looking to accelerate their business growth, but there are also many people starting out in online marketing without coming from any of these backgrounds. Sam has a fascinating story. He’s been in online marketing for just a year (full-time), but he’s already one of the most appreciated product creators for internet marketers. His first launch was “Product of the Day” on JVZoo, the affiliate marketing platform. Since then, he launched around 10 products and more than half of them were best sellers and “product of the day”, collecting accolades and revenue. Sam Bakker saw what he was doing and guided him toward applying part of the things Sam was doing offline to the online world. Sam started spending time with Sam Bakker during the weekends because he still had a full-time job, to see how online marketing campaigns are being run, how products get created and promoted, and he found all of those things fascinating. That’s how he decided to follow his new found passion. Many internet marketers started their business while they had a 9 to 5 job. Sam used to wake up one hour earlier to work on his business, then go to work, and then work some more on his business when he would come home from his job. Slowly it turned into something for which it made sense to quit his job and go full-time in internet marketing. What Sam’s story teaches us is that you don’t have to turn your life upside down to become an internet marketer, you don’t have to start from zero, you don’t have to go to college for it. You can take the skills you already have, the experience gathered so far, and use what you have to jump start your internet marketing career. For example, Sam dropped out of school when he was 15, but he still managed to build a successful business by discovering his passion for online marketing and learning how to be a great digital marketer from Sam Bakker and everybody else he’s ever meet. Find yourself a goal and then just go for it. Your passion will help you absorb everything you’ll need to know to succeed. You don’t have to know everything or be everything from the start. You don’t even need to be a product creator to make money online, there are better and easier ways to get started. Developing a software product for internet marketers involves thousands of dollars, hours, sweat and tears, and there are many alternatives which are a lot cheaper (or totally free) and less demanding, so you could start as soon as you’d like and see where your skills and grit take you. Sam Robinson’s first product was actually a bundle of software products developed by other marketers, stuff they sold in the past or was just laying around. He used it to create a package called The Boxing Day Blitz and he sold it online, giving a record 100% commission to his affiliates because his objective was to build a reputation and a list for himself not to make money. You can buy, rebrand and repackage many things. A white label product can be sold as your own. You can also create white label products, and when people buy them, they can swap your logo with theirs and sell the product as their own. By licensing other marketers’ or entrepreneurs’ content or software products and adjusting things to make them your own, you can save yourself a lot of trouble. You won’t have to spend time creating a product that would solve a problem, you can just license the product and sell the solution as your own. People won’t even know you didn’t develop the product, and it’s a great way to save your own money and go to market with an already proven product. Many people are attracted to the lifestyle, imagining that even if they only spend a few hours per day working on this, they’ll make the money they want and then just chill out by the pool. The reality is that if you want to make a lot of money you really need to treat it like a business, not like a hobby. You need to start applying yourself, and structuring your work, and treat it like a brick and mortar business. If you’d have a brick and mortar store for which you wouldn’t do anything 6 days per week, you wouldn’t expect it to thrive. The same applies to an online business. You need to show up and do the work to be successful. Having the right people around you can have the power to help you in ways you wouldnít believe were possible. The people you surround yourself with (even virtually) matter a lot to how successful you’re going to be. The people matter just as much as the product you’re selling, sometimes even more. People conducting their businesses online, or buying stuff online, sometimes forget that there’s another human being on the other side of the screen. When you’re doing an email marketing campaign or you write a sales letter is important to know that you’re talking to another person. Visualize someone you know when you write so you can be sure you’re not writing something that the other person might find inauthentic or self-centred. Always focus on the person you’re writing for not on yourself. If you writing is all me-me-me, the potential buyers won’t want to read it, they hardwired to be interested in things that benefit themselves, not who you are and what you’re saying about yourself or your product. What Sam has achieved, for some, looks impossible to replicate. He doesn’t agree and thinks that if you’re willing to invest the time (getting up one hour earlier, going to bed one hour later) you can make great progress. Most times the “I can’t do this” is just a little voice in your head that has no connection to what you’re actually capable of, but you find that out only after you get started. Once you start seeing that things are moving in the right direction (getting your first subscriber, selling your first 10.99 subscription), you’ll build momentum. No matter how little money comes into your bank account in the beginning, it just has the power to make everything feel like a real business, and that keeps you going and improving and making more and more money. Start small and treat it like a real business and slowly you’ll turn into the internet marketing expert you were dreaming about becoming, and making good money in the process.